The costs of owning a manufactured home do not end with the delivery of the home sections. The ongoing costs of making a manufactured home livable include taxes for the land and for the home, and utility hookups. States and municipal governments within states establish a tax formula and a tax rate. Some states tax a manufactured home at the same rate as would be applied to a site-built home, or a stick-built home as some refer to the home constructed on-site. Some states like Florida have a tax that is similar to the license tax for a car. Local governments may add a tax, but even this tax is very low. Other states have significantly higher tax rates on manufactured homes. In Oregon, all manufactured structures are personal property but may be assessed and treated as personal or real property for property tax purposes. Effective property tax rate in Oregon is 0.98%. All mobile homes in Arizona are subject to property taxes from January 1st following the day they enter the state. Per statute, all mobile homes kept in Arizona must be titled with the Arizona State Motor Vehicle Department (MVD). Effective property tax rate in the state of Arizona is 0.66%. In Washington, manufactured homes are generally classified as real property for property tax purposes with the exception of for tax collection purposes when the home is moved or in transit. Effective property tax rate in Washington is 0.93%. In New Mexico, a manufactured home may be thought of as a house that, while it is temporarily on wheels between one permanent location and another, is also a vehicle and is considered to be personal property for tax purposes. 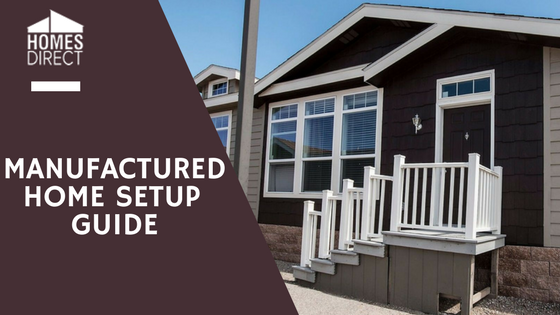 When a manufactured home is placed on a permanent foundation and its wheels are removed, it is usually entered on the books of the county as real property, subject to real estate taxes instead of personal property taxes, and is no longer a vehicle. Effective property tax rate in New Mexico is 0.66%. Effective property tax rates for other states you can find here. Everyone contemplating a manufactured home installation should check with the local taxing authority to learn what taxes would apply to their home and property and how much that would be. 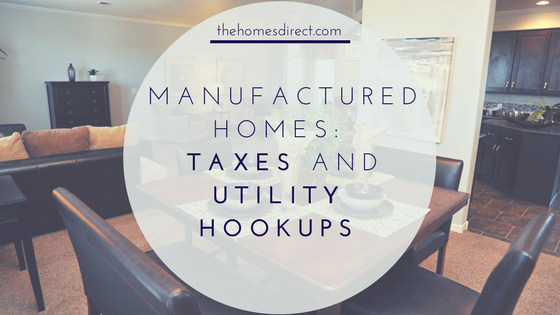 If a manufactured home is being contemplated for installation in a manufactured home park setting where the lot is rented and the home is installed, then the park management should be consulted about all taxes and the costs of the utility hookups. Electrical and telephone hookups should be discussed with the appropriate utility authorities that handle these hookups. If the manufactured home is located on an isolated property, then a substantial cost could be incurred for the hookup. Each utility can provide an estimate of the costs. A septic tank can only be installed where the land has passed a PERC test. Some municipalities also require a soil evaluation. Talk with the health officer about the tests that are required and who can perform them. These tests will determine if the septic system liquid discharge can be absorbed fast enough by the soil. These tests should be done before the sale is finalized because if the tests fail, then a home cannot be built on the property. A septic tank installation also requires a drainage field to handle the septic tank run-off. This is often referred to as a "leach field." A licensed civil engineer should design and supervise the installation. Be sure to install the leach field a safe distance from the well. This is the best way to handle waste. A discharge line will need to be run from the home to the city line. Check with the municipal department to determine the requirements for installing a sewer line and for a recommendation of contractors which are qualified to do the installation. If the property does not have a water supply from a municipal water supply system, then it will be necessary to ensure that the property has a water table that will provide water by a well. Testing can be done that will provide reliable information about the availability of water by drilling a test well. Testing should be done prior to purchasing the property. Some properties do not have access to a telephone line or Internet because the properties are essentially isolated. However, it may be possible to have a landline installed at a significant cost. You may want to find out who is the nearest Internet service provider to get access to the Internet. The cost of that will depend on your location and options available in your area. It may also be a good idea to take a mobile phone on the property and check for a signal. A manufactured home requires many services and ancillary products before it can be lived in. Reviewing these items with the local retailer and the local government will help to avoid last minutes problems and unexpected delays. 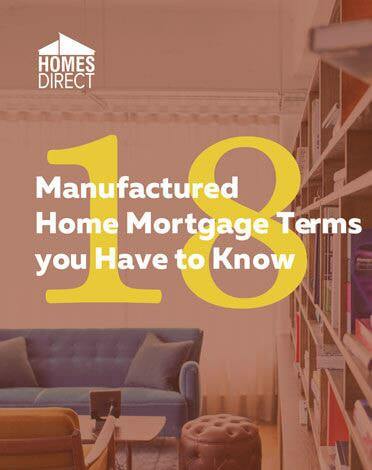 The point of this article is in part to help buyers understand the total financial obligations they face in purchasing a manufactured home.